Connects to your Phone / Camera / Camcorder / Tablet / Laptop / Monitor / Projector / TV and many other HD ready devices via a compatible Micro HDMI slot. 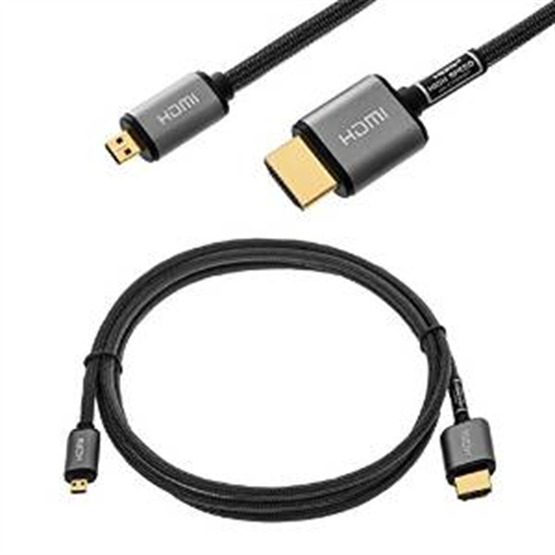 3D Micro HDMI v1.4 HD Lead with tough braided exterior and 24k gilded connectors means our HDMI cables are compatible with all resolutions including 480p, 720p, 1080i, 1080p and 4k. Perfect for both high definition video and standard video formats. Supports True HD Dolby 7.1 and DTS-HD Master Audio. 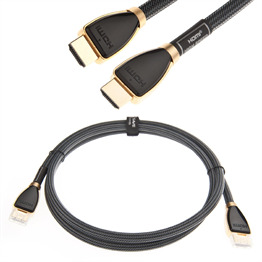 High performance connection to ensure high quality sound and picture quality. All television Hz rates supported. 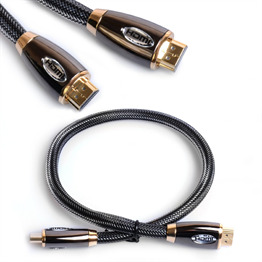 Broadcast quality digital video, digital audio, and inter-component control signals all in one compact HD connector.